Don't you just love that glorious feeling of trying something for the first time and instantly loving it? Well..... next Tuesday we've got our BRAND NEW adult dance class starting, and we're doing 3 weeks of Tap, and who knows, it could be the start of a crazy new tap dance love affair! 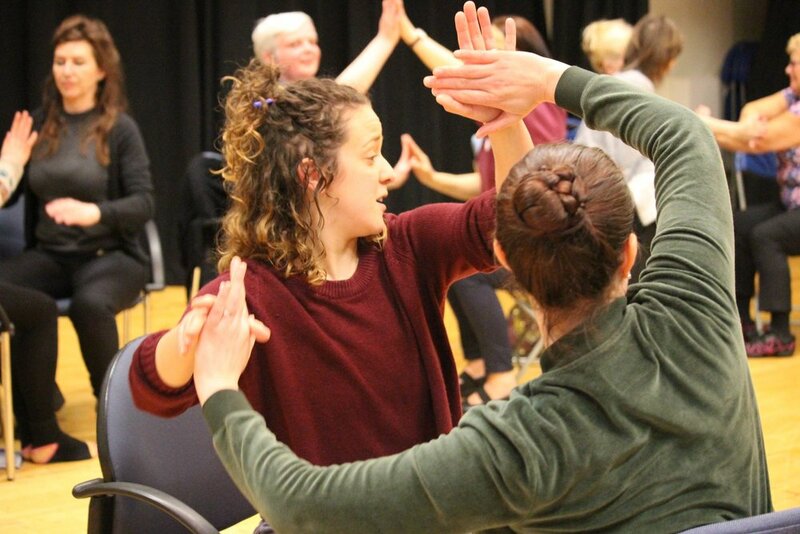 Carolyn is one of our ace freelance dance teachers, and she is so excited to be teaching adult tap for the next 3 weeks, she will try her best to cater to everyones tap ability, so if you think you might fancy it, why not come along to try it out! The class is drop in, no need to book and don't panic if you don't have tap shoes, soft sole shoes will work just fine! 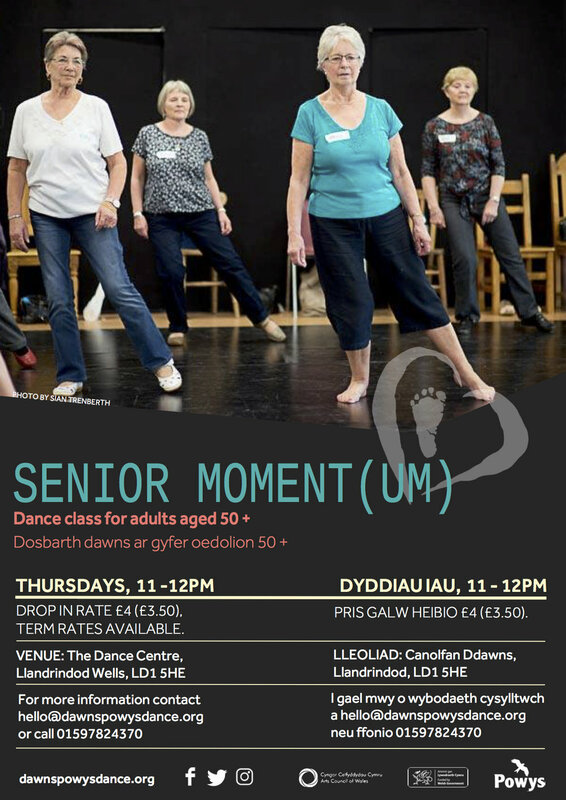 Join us for our last adult dance taster session this term. This time it's all things JAZZ, or should it be ''all that Jazz"! 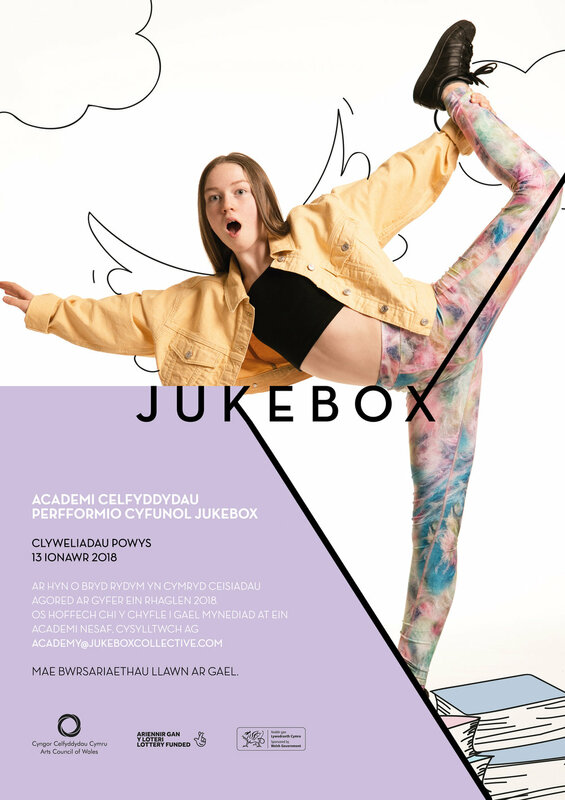 Well we're not here to define Jazz dance but we spoke to Jemma and asked her a few questions about what she's planning on doing for the workshop, to hopefully de-mystify it a bit for you! "Jazz for me was very indulgent, always in class I would feel extremely free, in the sense that if I ever got a step or a flick, or an arm wrong (which was more often than not when I was a little younger) I could always 'style' it out, find my way back in and totally indulge myself to the music. It didn't matter if I was a beat behind, or my leg wasn't as high as everyone else, Jazz for me was about putting my own spin on it, enjoying the performance of it rather than worrying about getting it right. So I guess in terms of the workshop, expect kicks and flicks with a little footwork, we will be creating sharp lines with a bit of hip, not to fast, not to slow and MAYBE a prop but most of all we will be trying it all out together and having a good time! " "For anyone coming to the session I hope they have fun, I hope they feel what I feel when I'm dancing, I want anyone there to appreciate the style of dance Jazz is but to totally run with it and have fun, music is key for me with Jazz so the pressure is on to pick some top tunes!" Come along and try it out next week, experience Jazz dance in all its glory! 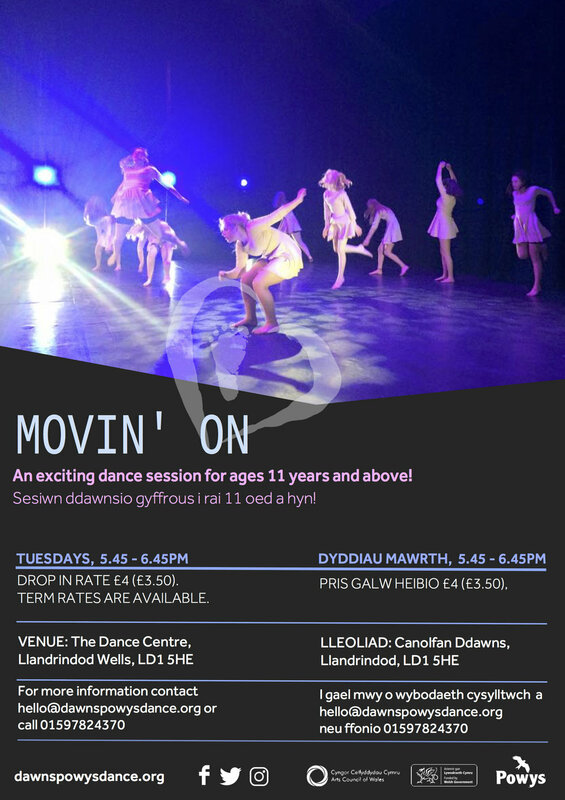 We have the brilliant Cascade Dance Theatre with us at the Dance Centre for a week, beginning 6th November. As a result, it means that some of our sessions and regular classes are taking a 2-week half term. So we thought it only fair to make sure everyone knows when, where and whether their session is on, changed venue or having a week off....if you're with us so far, bravo! Big Fish Little Fish in Llandrindod! 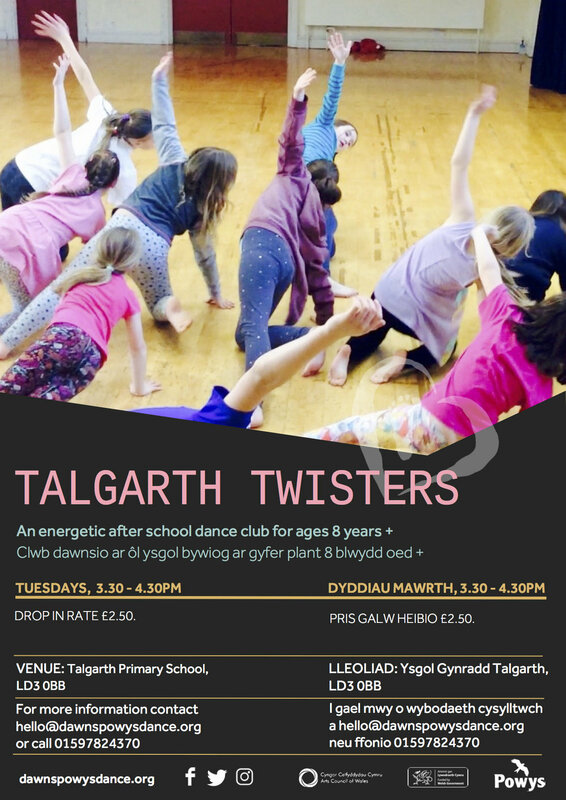 ALL our Dance Centre sessions are cancelled from 6th - 12th November, that's all Powys Dance classes, Ballet, Yoga. Choir etc. 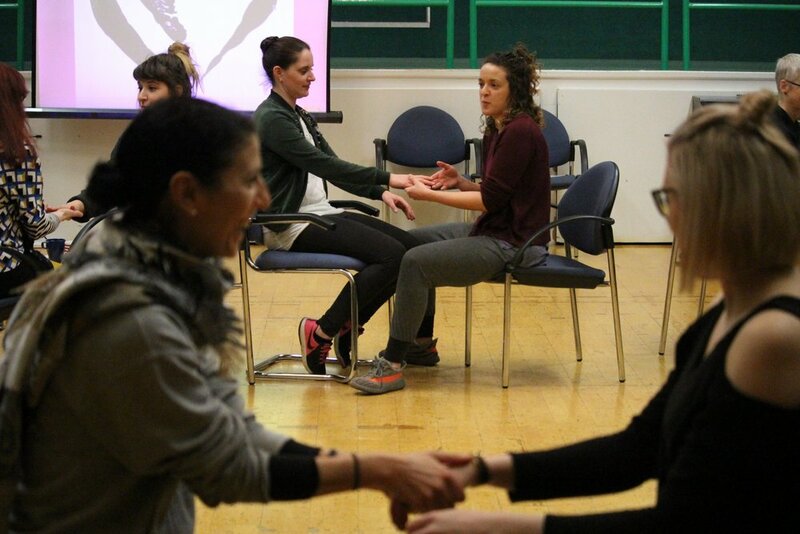 Normal service will resume as of Monday 13th, with brand new Yoga sessions to boot, wahoo! Saturday Street Dance Club will run as normal on 11th November, see you there! The only exception will be Movin On, our Llandrindod Youth Group as they will be enjoying a fabulous workshop with Cascade themselves, same time as usual class and the only one at the Dance Centre. 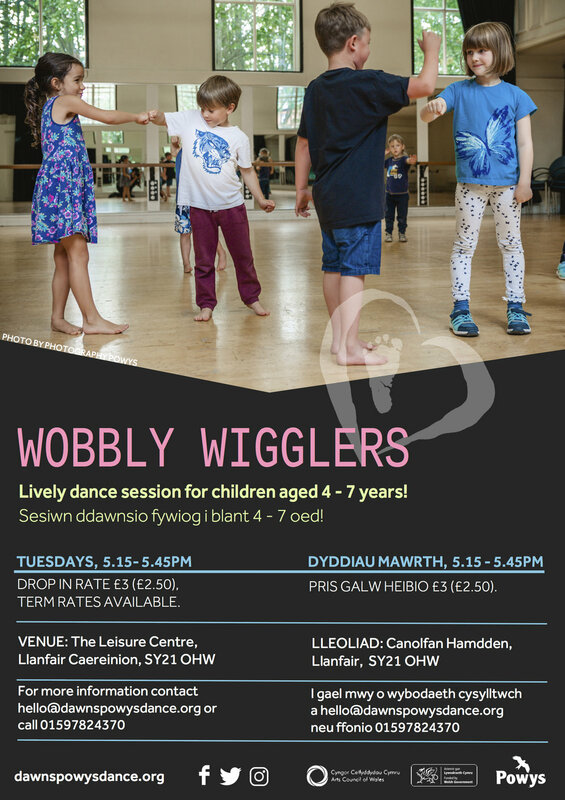 Our sessions at the Llanelwedd Jubilee Hall will also be taking a 2-week half term, so the next session will be Monday 13th November - enjoy the extended break folks! 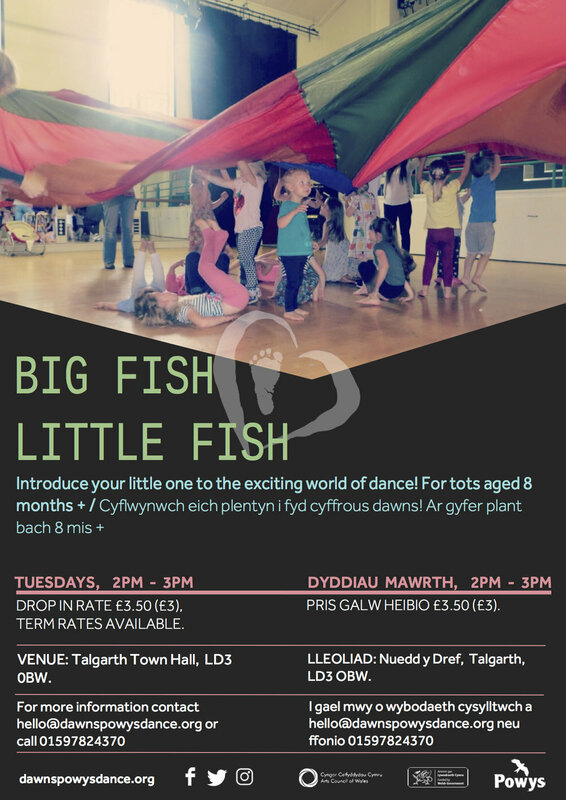 Big Fish Little Fish in Talgarth will be back on Tuesday 14th November, all our other sessions will resume straight after half term, week beginning 6th November. Please don't hesitate to get in touch with us if you need clarification about your particular class. The company will be here to research their new show for Autumn 2018, a show delving into the world of Mary Shelley and most notably her work, Frankenstein. 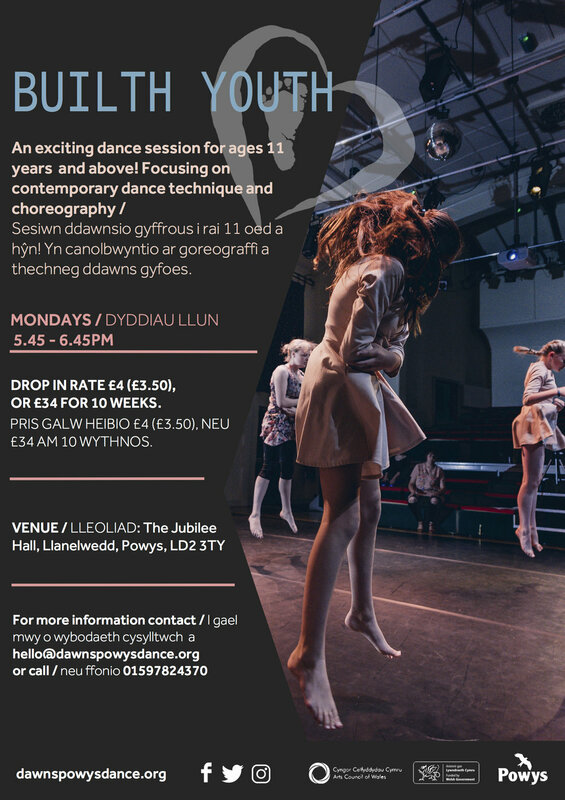 Rhigol - Dance in a Day! On Tuesday 2nd August Beth will be taking over the COWSHACC in Welshpool for an exciting day of dance! First and foremost, Dance in a Day is an exciting chance for your child to learn new moves and train their dance skills. Beth will teach some exciting choreography to teach to everyone that is not only fun and funky, but will help develop their dance knowledge It will aid them with skills to be creative with dance, enhance their dance ability, help with co- ordination, fitness, balance, it will give them confidence to think outside the box, make new friends and develop skills they didn't know they had - yup all in 1 DAY! 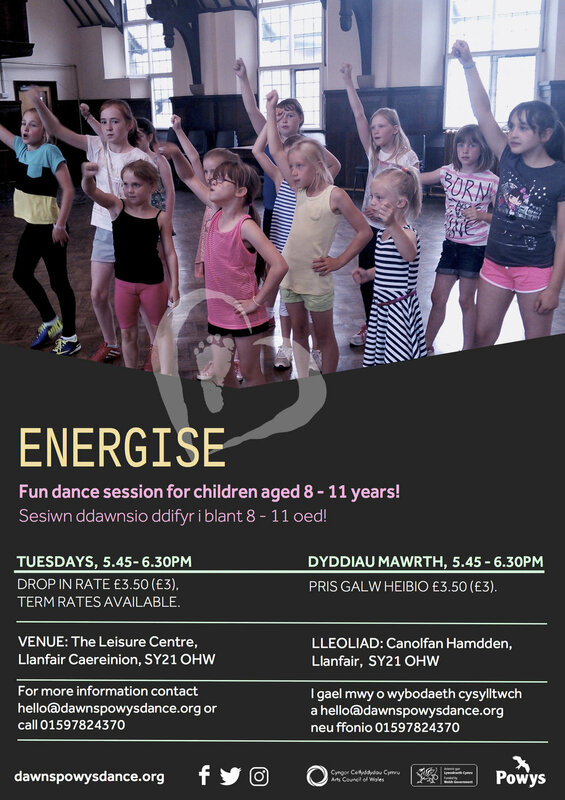 At Powys Dance, above everything we like to create fun experiences for children to get involved with, we like to aid their dance ability by having one of our professional dance practitioners guide them through moves, but mostly we like to aid them with the skills to get creative with their movement and to offer them that safe space to do so. Don't delay to book your spot, £10 for the day, see below for more information and book online now! Last time we were in Welshpool!